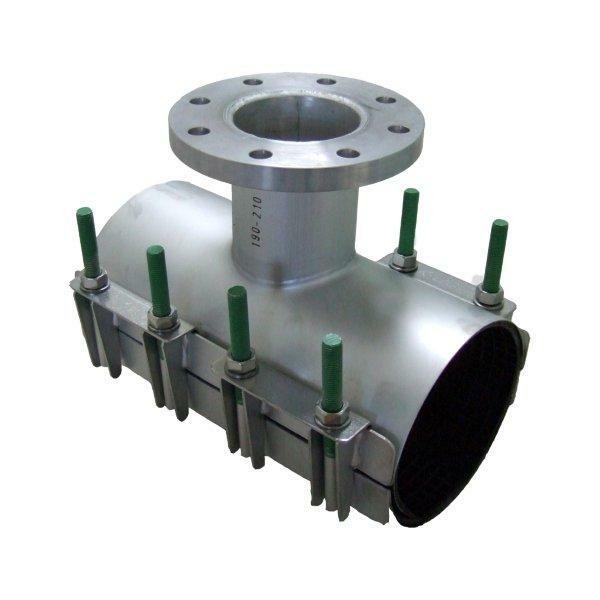 Stainless Steel Under Pressure Tees - Tapping Tees and Hot Tap Tees - CASCADE PLC - The new home of Cascade Clamps UK Ltd, Suppliers and Manufacturers of pipe fittings to the water & gas industry. Our Standard stock sizes from 3"/80mm to 12"/300mm with up to DN150 PN16 Flanges, other sizes can be manufactured on request. 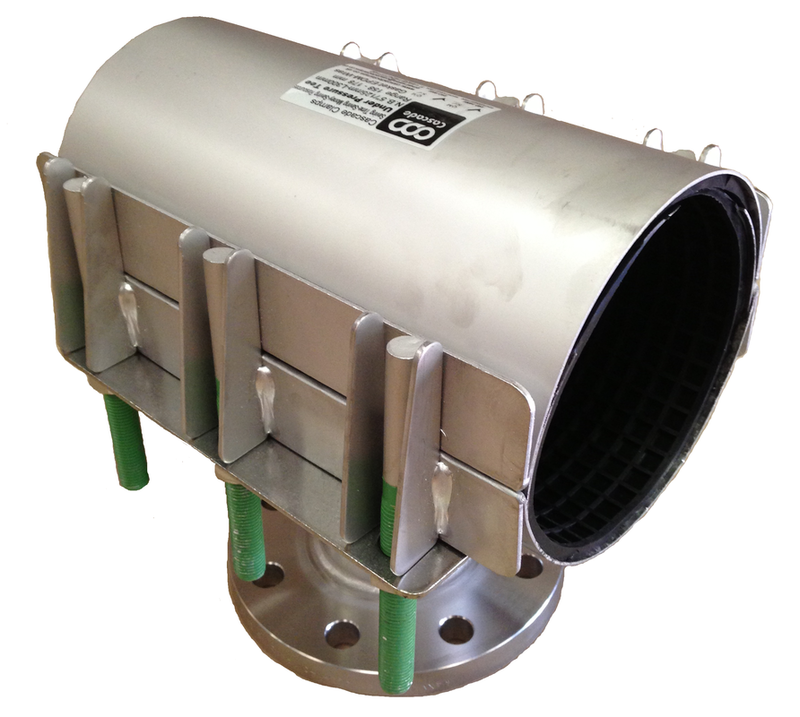 All our Stainless Steel UPT's meet industry standard and have a permissible working pressure of 16 Bar. For more information and specification breakdown please see our downloadable E-Brochure. please see our document on how Ductile Lugged Tees compare to our all Stainless ones.